For those familiar with Minor League Baseball’s offseason news cycle, the month of November holds special meaning in that it is prime time for teams to announce their re-branding efforts for the next season and beyond. Recent news on that front has included the unveiling of the Hillsboro Hops name and logo, the Lexington Legends’ heavily-mustachioed new look and Erie’s enhanced commitment to marauding wolves. 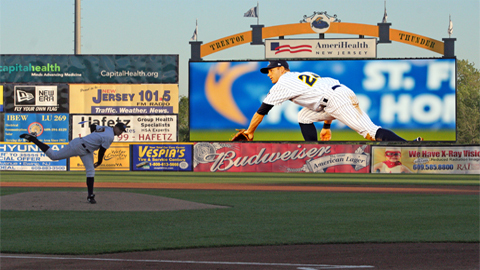 The Scranton Wilkes-Barre Yankees — time is running out. The six finalists in the SWB Yanks’ re-branding are a largely unserious lot: Blast, Black Diamond Bears, Fireflies, Porcupines, RailRiders and Trolley Frogs. After being known as the Yankees (and, before that, the relatively conservative-sounding Red Barons), there is sure to be some backlash in the Scranton area from fans unhappy with their home team’s more flamboyant new direction. Such controversy is par for the course, really, and SWB president Rob Crain should be well-equipped to handle it given that he was an assistant general manager in Omaha when that team changed its name from the Royals to the Storm Chasers. (That change was not at all popular in the early-going, though fans have by and large come around to it). But whatever the reaction is in Scranton, it will be a mere prelude to the third and most fascinating re-branding effort being unveiled this week. On Saturday, after 46 years of being known as the “Phillies,” Reading’s Eastern League club is announcing a new name and to say that the local reaction to this change has been negative would be an understatement. Just check out the comments on this web site press release, or the reaction to virtually any post on their Facebook page, or this online petition against the change, or, finally, this 2800-member strong “Save the Reading Phillies” Facebook page. 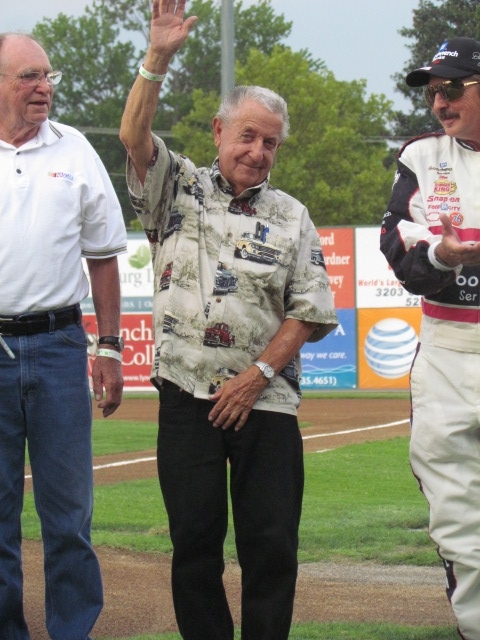 To add gasoline to the flames, iconic PA announcer Dave “Frenchy” Bauman has publicly declared that he will resign from his position if the R-Phils change their name and, in response, the team has announced that PA announcer tryouts will be part of Saturday’s re-branding festivities. (For those interested, Bauman has commented frequently on the aforementioned “Save the Reading Phillies” Facebook page). In general I am supportive of team re-branding efforts, even when they aren’t initially embraced by the community. 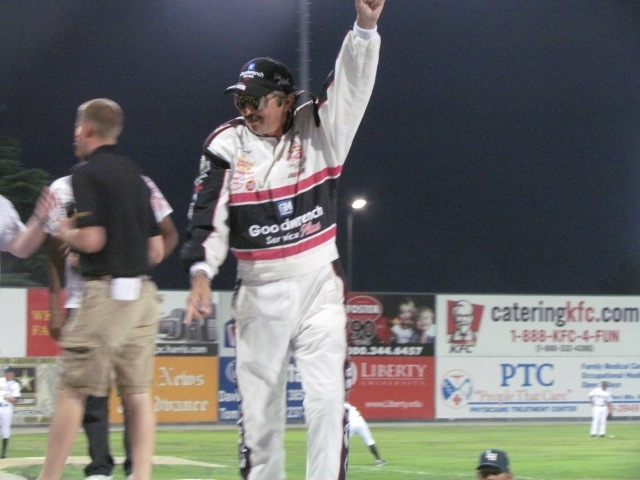 Negative reactions to irreverent team names and identities are often motivated by the fear of the unknown and a general ignorance of how Minor League teams operate, and a common pattern has been observable in recent years in markets such as Lehigh Valley (IronPigs), Richmond (Flying Squirrels) and, of course, Omaha: Anger gives way to acceptance once the season begins and fans are able to witness first-hand how the new identity is incorporated into the overall entertainment experience. (Because, like it or not, Minor League teams are in the entertainment business first and foremost. Affiliation agreements can be short-lived, and the product on the field is 100% dictated by the parent club. 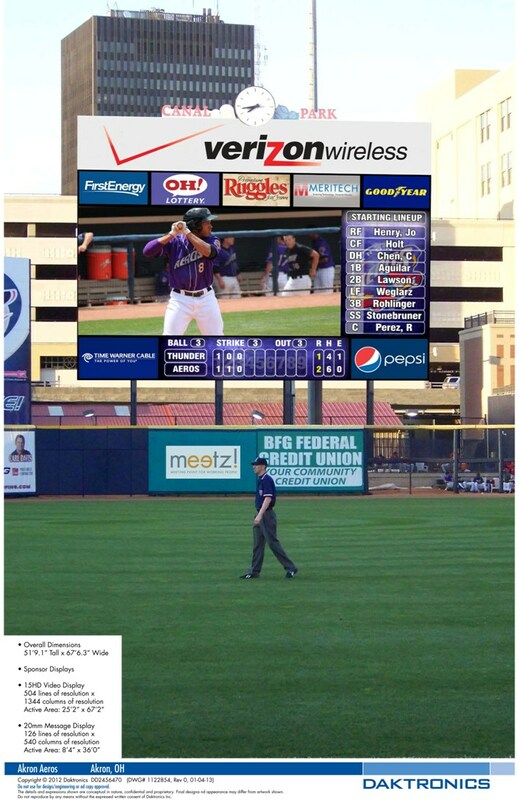 Therefore, it makes sense for Minor League teams to focus on what they can control: their identity and the multi-faceted entertainment options that complement the game itself). But Reading is unique case in that the franchise already seemed to be enjoying a best-of-both-worlds scenario. 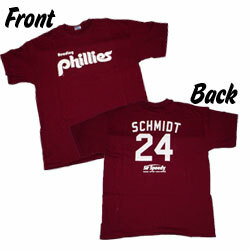 The city has been nicknamed Baseballtown, after all, and the fan base has a justifiable sense of pride in both their classic ballpark and a long-running Phillies connection (alumni include icons such as Mike Schmidt and Greg Luzinski to more recent luminaries such as Ryan Howard). The “Phillies” name has a powerful resonance in Reading, perhaps more powerful than that of any other Minor League team that still retains the moniker of its parent club. 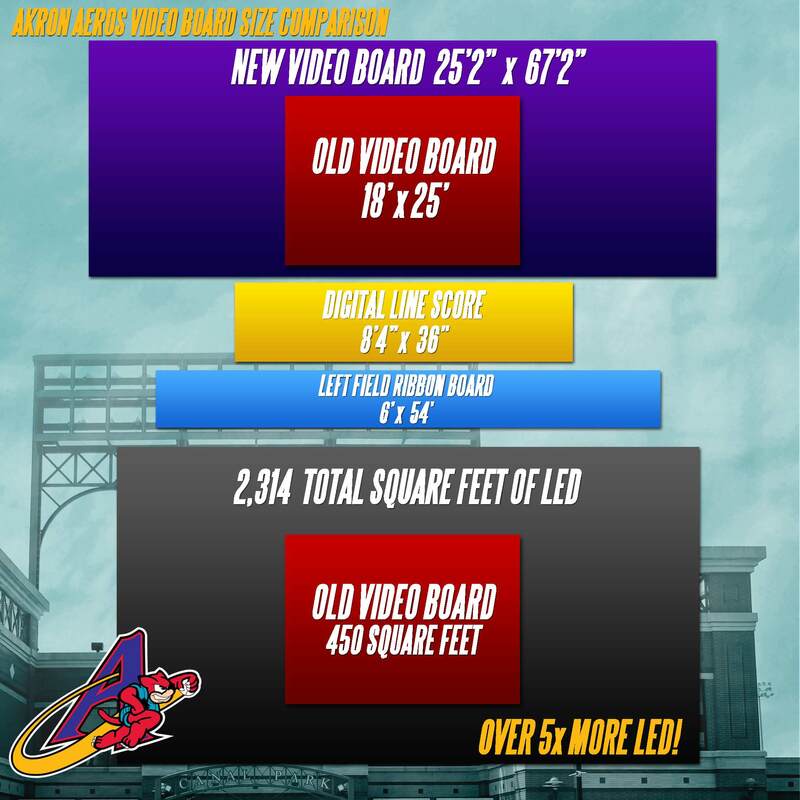 But, meanwhile, Reading’s deeply-embedded front office (led by GM Scott Hunsicker) has worked hard to create a thoroughly unique Minor League atmosphere at the ballpark, and the fan base has embraced this side of the game experience as well. 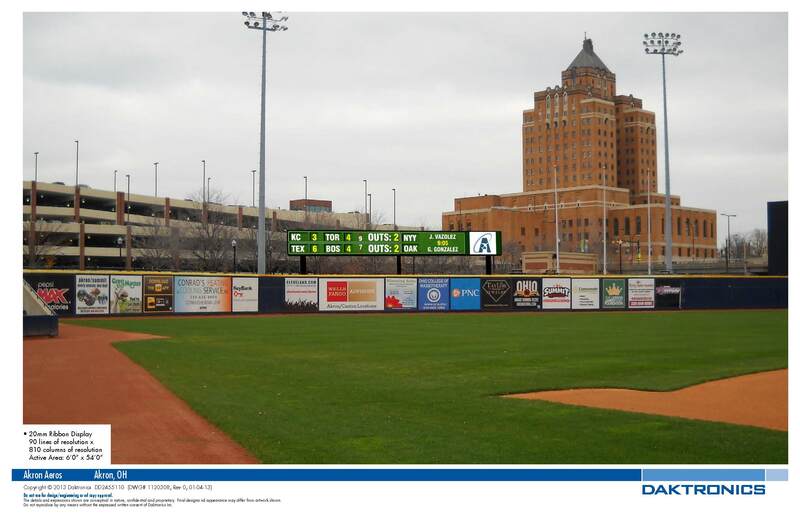 Vegetable racing, the mascot band and dancing super-fan “Disco Briscoe” are all part of the FirstEnergy Stadium atmosphere, which, of course, also includes the ostrich-riding Crazy Hot Dog Vendor. 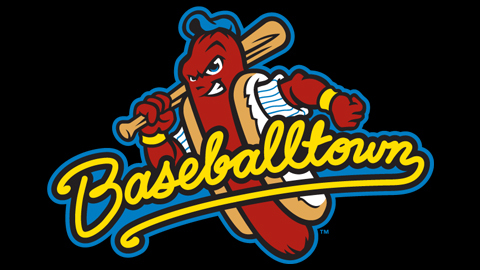 (I have been fortunate enough to visit dozens of Minor League stadiums over the past several years, and never have I seen a ballpark character with the level of popularity enjoyed by the Crazy Hot Dog Vendor — read all about it HERE). 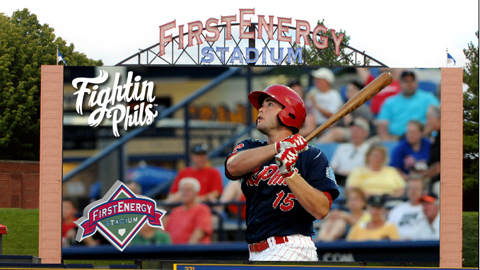 Given that the R-Phils already do an excellent job walking this distinctly Minor League tightrope, the imminent re-branding represents a huge risk and brings to mind the old “If it ain’t broke…” cliche. For even if fans eventually embrace the new name, the public relations fallout from this decision will reverberate for a long time to come. 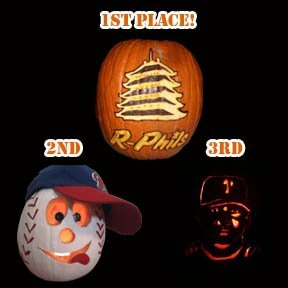 Quite frankly, the strongest partisans on either side aren’t looking particularly good right now: the R-Phils front office is rather cavalierly flying in the face of deeply-ingrained fan sentiment within an admirably supportive market, while the most vocal contingent of fans against the change are engaging in online histrionics that are rather out of proportion to what is actually taking place. (Passion for the hometown team is a wonderful thing, but it’s not like the team is relocating. They will remain a Phillies affiliate, regardless). And say what you will about Hunsicker and company, but they’re not a bunch of Johnny-come-latelies to the Reading baseball scene. Shouldn’t their success in running the club thus far be taken into consideration? Shouldn’t the tone of this discussion be a bit more diplomatic? There’s a lot more to explore when it comes to this story, and I’ll do my best to follow up with different viewpoints throughout the offseason. In the meantime, I’d like to know your opinion: Brilliant? Suicidal? Both? Let me know. “If it bleeds it leads” is a well-known journalism trope, and those of us who make a living in the cutthroat world of Minor League baseball blogging ascribe to a similar saying: if it’s a logo then it’s a go-go. Colors are a state of mind, man. 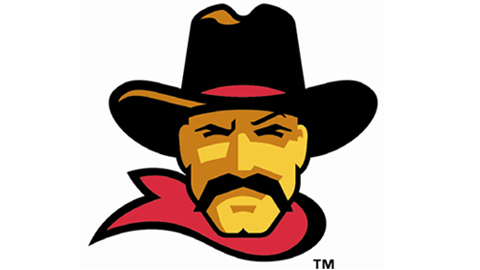 “After 21 seasons in the Victor Valley, we felt it was a great time to introduce new logos which reflected both the Mavericks team identity and our strong connections to the High Desert community,” general manager Eric Jensen said. 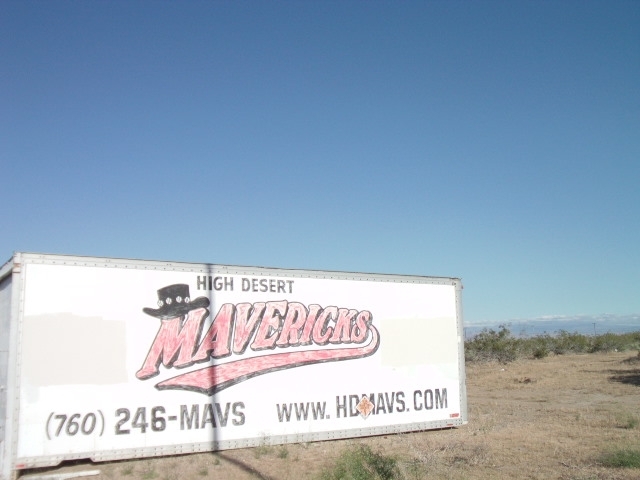 “Our new ‘HD’ logo allows the whole High Desert to feel represented when they’re wearing Mavericks apparel and incorporates the unique physical attributes of this region. I was fortunate enough to be able to visit a Mavericks game last season, but somehow I neglected to notice physical attributes such as a green sun. I did, however, notice the ruggedness. Another team I visited on that trip were the Lake Elsinore Storm, who have recently announced a very good reason to make a return visit. 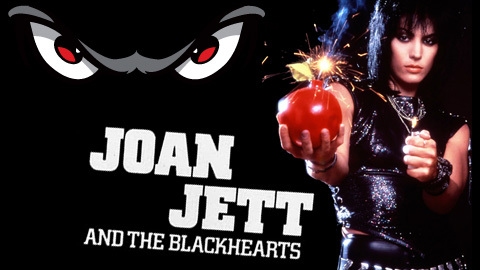 Following April 22’s ballgame, Joan Jett and the Blackhearts will perform a free show. This has to be one of the best deals of the season — where else can $9 buy entry to both a professional baseball game and a rock n roll spectacle? The concert, set to begin approximately 30 minutes after the game ends, will be held in celebration of Storm owner Gary Jacobs’ birthday. Jett, known for “I Love Rock N Roll,” is scheduled to perform a 90 minute set with her band on a stage placed behind second base. Hey, Lake Elsinore, please do me a favor and offer Rocky Road ice cream during the ballgame. It would mean a lot. But now let us return, one more time, to the world of logos. 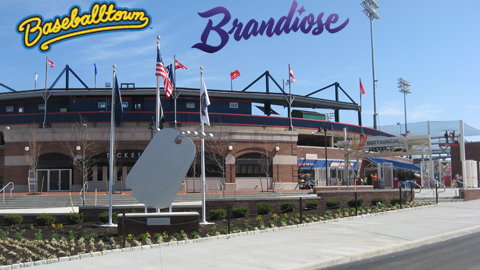 On Monday the Reading Phillies announced a great new idea, one that sees them teaming up with Brandiose in order to teach the art and science of logo design to a new generation. As a kid, did you ever dream of wearing uniforms like the pros? Jason Klein and Casey White of Brandiose are the guys who design the official logos and uniforms for Major League Baseball teams. The duo will be coming to Reading, PA to give the kids of the Olivet Boys and Girls Club a firsthand look at how baseball logos come to life. Brandiose will also be collaborating with the kids to design their very own logos for the Baseballtown RBI League. Jason and Casey will take the kids through the same creative process they take teams of Major League Baseball and Minor League Baseball through by discussing the parts of the community the kids cherish the most. 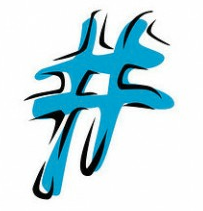 They will then work with the kids to bring those ideas to life in logo form. Kids will sketch their ideas at the event, with Klein and White compiling the ideas into a major league look for each Baseballtown RBI League team. The kids’ logos will be unveiled in time for the Baseballtown RBI League’s 2012 Opening Day. And — hey! 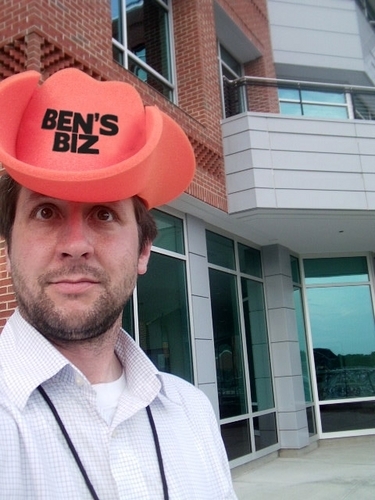 — if any kids want to submit a Ben’s Biz logo that could be used for 2012 and beyond then you know where to find me. That’s right, alone and in front of a computer. The posts on this blog are rarely team-specific during the offseason, simply because there is rarely enough content from one team to comprise an entire post. 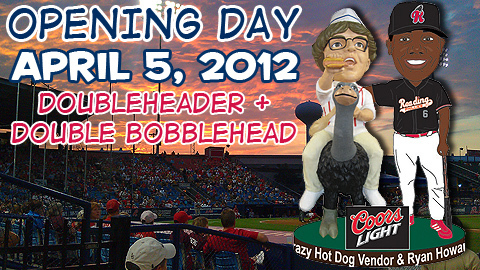 Today is one of those rare occasions, as the Reading Phillies have unleashed a torrent of notable news upon the world. First and foremost, the team’s plans for the 2012 Eastern League All-Star Game Home Run Derby are downright hallucinogenic. [P]layers will be trying to hit select targets around the field to earn points….targets include outfield dunk tanks, R-Phils fanatics jumping on a trampoline, and pink flamingo yard ornaments sprinkled around the outfield. Conversely, there will be obstacles hitters will want to avoid in order to not lose points. The Reading Phillies mascots will be scattered around the field, trying to snag balls hit by the all-stars. 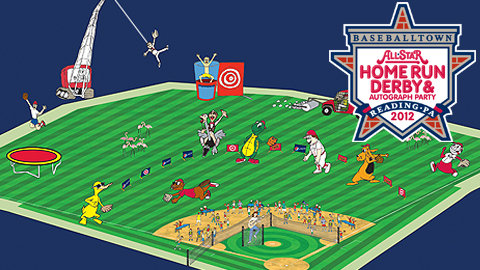 For each ball the mascots catch, the hitter will be penalized with negative points. While the hitting challenge is going on, an exclusive VIP party will actually take place right on the infield. These VIP quests will be protected by a net as they party away with homerun balls sailing over their heads. Grammy Award-winning musician and Berks County resident David Cullen will also be performing uncomfortably close to the pitcher’s mound in a protected area as he entertains fans and all-stars in attendance. Those desirous of a detailed visual explanation would do well to watch the team’s five-minute explanation video, linked to in the aforementioned press release. 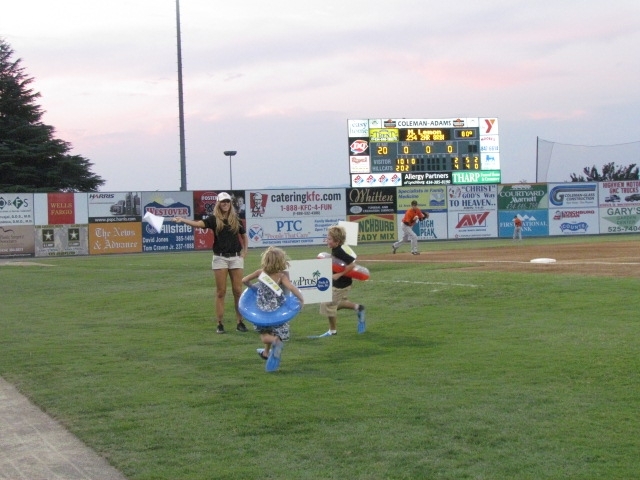 My guess is that the R-Phils were influenced by the Quad Cities River Bandits, who last season put some very unique twists on the Midwest League Home Run Derby. Any other 2012 All-Star Game hosts planning something similar? Let me know! Because nothing says "charity" like meat with a malicious smirk? Baseballtown Charities, a non-profit 501(c)(3) entity, was launched ten years ago in association with the Reading Phillies in order to keep baseball alive in Reading through charitable donations to underprivileged youth, who otherwise wouldn’t have the opportunity to play baseball. 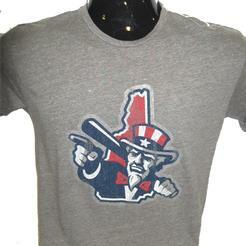 The organization was also founded to pay tribute to Reading’s rich baseball history. Since its inception in 2002, the Baseballtown trademark has played a necessary part in the baseball community of Berks County. 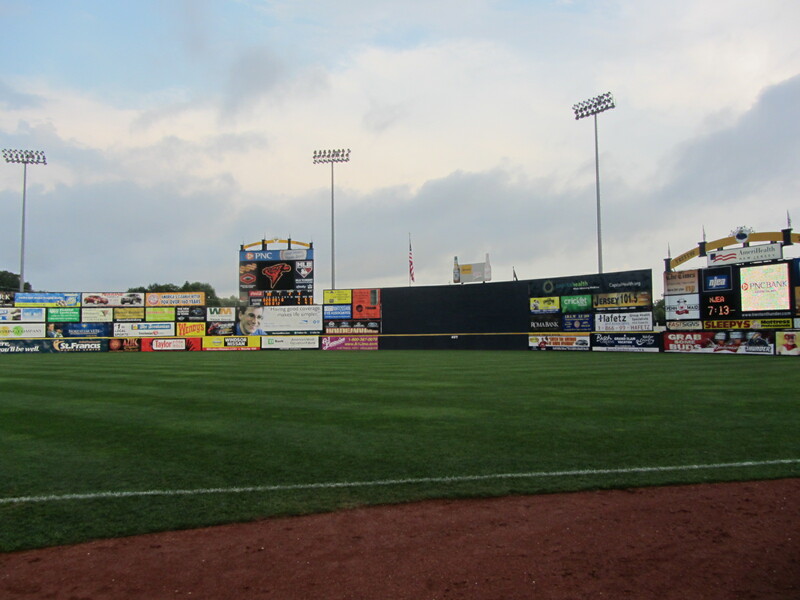 Under the Baseballtown namesake, FirstEnergy Stadium has played host to the High School All-Star Game and the Olivet’s Boy’s and Girl’s Club Championship. Each year, the organization crowns the King or Queen of Baseballtown to honor the past by recognizing that individual’s accomplishments and contributions to baseball/softball. 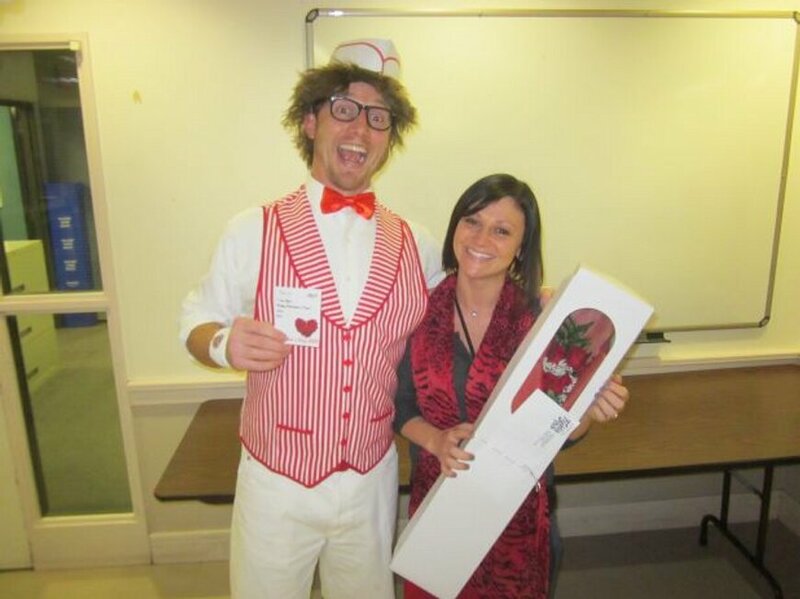 And, finally, with Valentine’s Day on the horizon the R-Phils have put out a video in which team employees explain the significant role that mascots have played in their love lives. 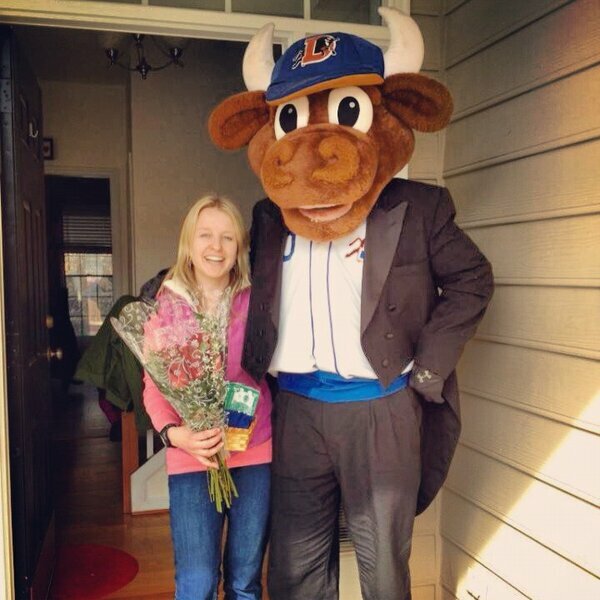 Maybe one of these days I’ll put out a video explaining how mascots played a role in mine. It’s a strange state of affairs when Major League logo unveilings are outpacing those from the far more pliable Minors, but what is life if not strange? For in the past week we’ve seen new looks for the San Diego Padres and (more significantly) the Miami Marlins, while the only fresh identity to be unleashed in the Minors for 2012 remains the defiantly exuberant surfin’ Cubs of Daytona. This will soon change, as the Pensacola Blue Wahoos are scheduled to emerge from the tropical depths this Friday (for more on Pensacola, check out my MiLB.com piece that ran on Friday). 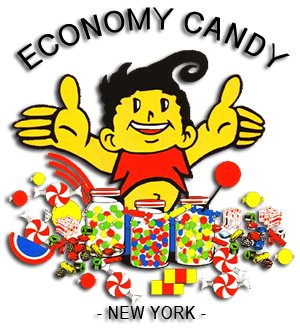 The press release announcing the new mark notes that The logo will be featured on limited edition merchandise available at the Cargo Hold gift store at Classic Park as well as on-line at http://www.CaptainsBaseball.com. Merchandise featuring the special logo is currently arriving now in time for the holiday shopping season. The logo will also be seen on all team-issued print materials produced for the 2012 season. 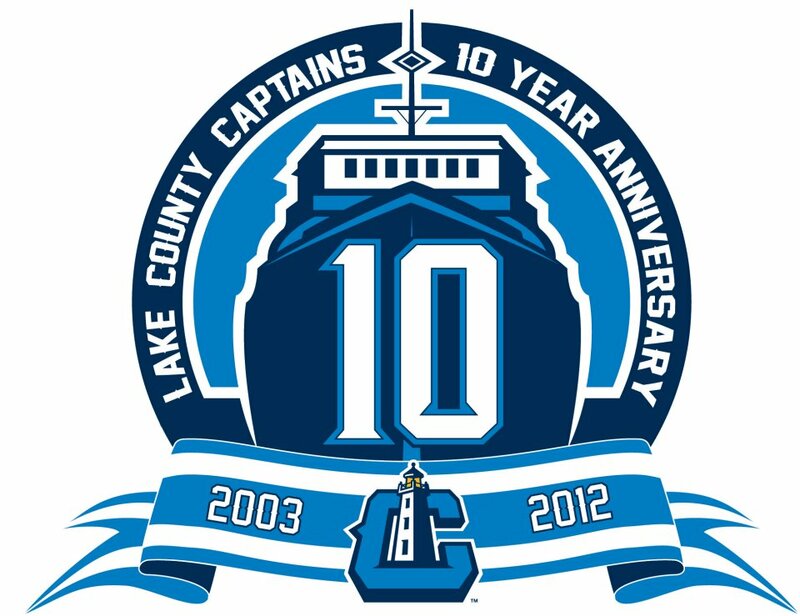 And, as you may recall, it was just last season that the Captains unveiled their new primary logo. That came amidst a month which I now refer to as Logo-vember 2010, as it also included unveilings from Asheville, Kinston, Wisconsin, Omaha, New Hampshire, Kannapolis, and Altoona (among others). What a memorable — nay, magical! — time that was. Another team due for some increased exposure via the star-making machinations of the entertainment industry are the Fresno Grizzlies. This past August scenes from an upcoming Billy Crystal vehicle entitled “Parental Guidance” were shot at Chukchansi Park. And apparently the filmmakers were so enraptured with mascot Parker that he was recently flown down to Atlanta in order to do some follow-up shots. For more, check out this interview with Parker in the team’s “Yardwork” blog. 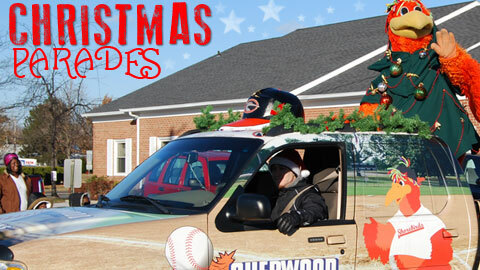 But a mascot’s true place is close to home, of course, especially with the holiday season approaching. 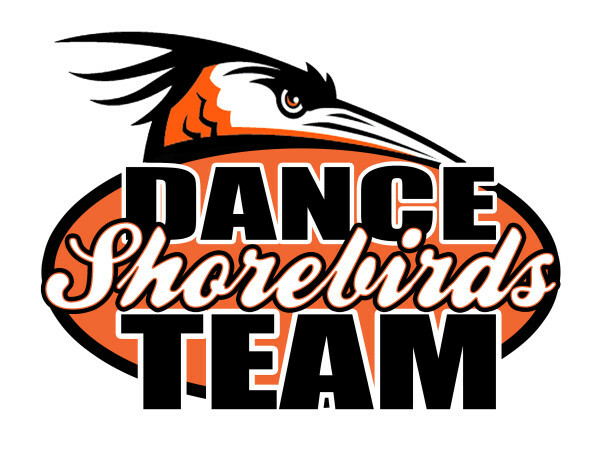 This is a most busy time of year, as amply illustrated by today’s announcement by the Delmarva Shorebirds that Sherman will be appearing in a whopping SIX parades. Can anyone top that? 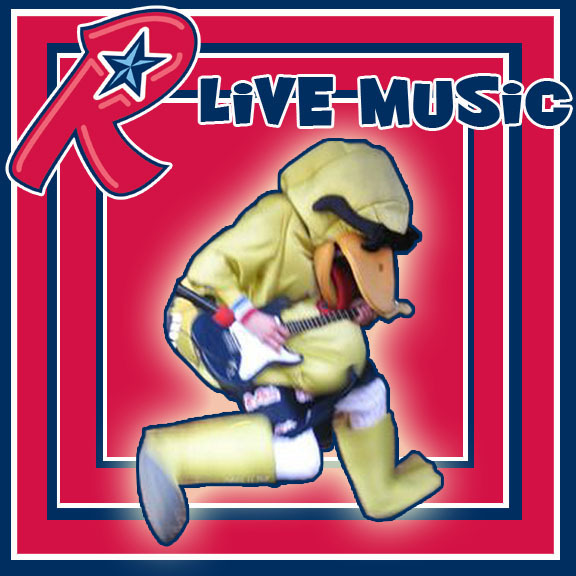 And in perhaps even more exhilarating mascot parade news, the R-Phils mascot band has announced their first “in-motion” gig: atop a float at the Reading Christmas parade. 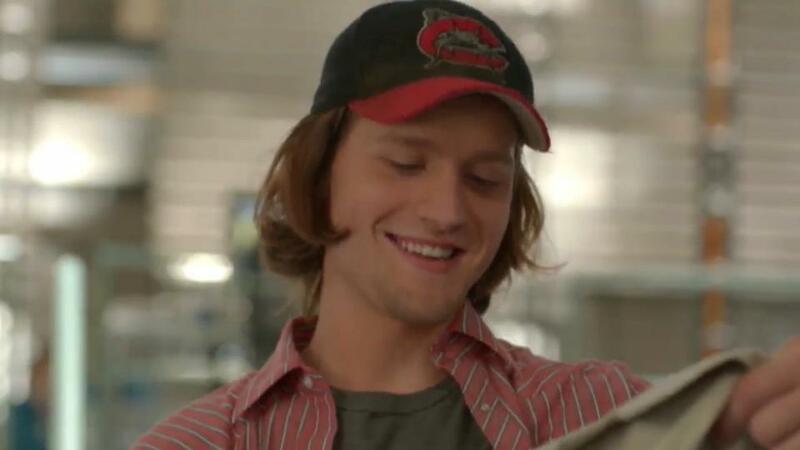 I have no doubt that he’ll be the top “billed” performer. Yesterday’s post served as this year’s Halloween content clearinghouse, but as usual a few things slipped through the cracks. And when something falls through the cracks, it’s best to save it from such a nefarious fate by belatedly bringing it back into the light. 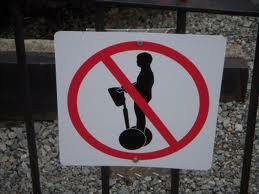 That’s a convoluted way of saying that I stumbled across a ridiculous photo I wanted to share. 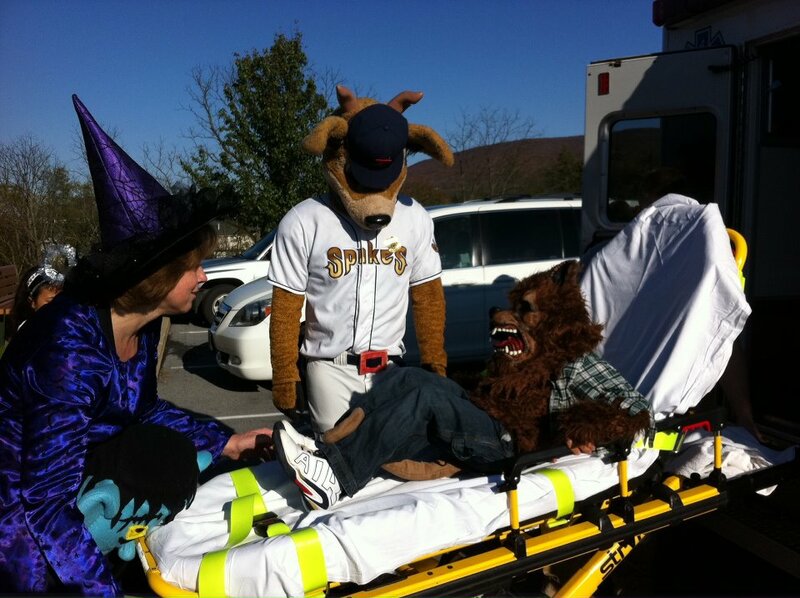 It was taken at the State College Spikes Spookfest and features mascot Ike the Spike idly observing a werewolf being wheeled on a stretcher by a witch who appears to have Frankenstein in a headlock. Just another day in the Minor Leagues. But would you expect anything less from the Reading faithful? This is a fan base that has proven carving abilities. 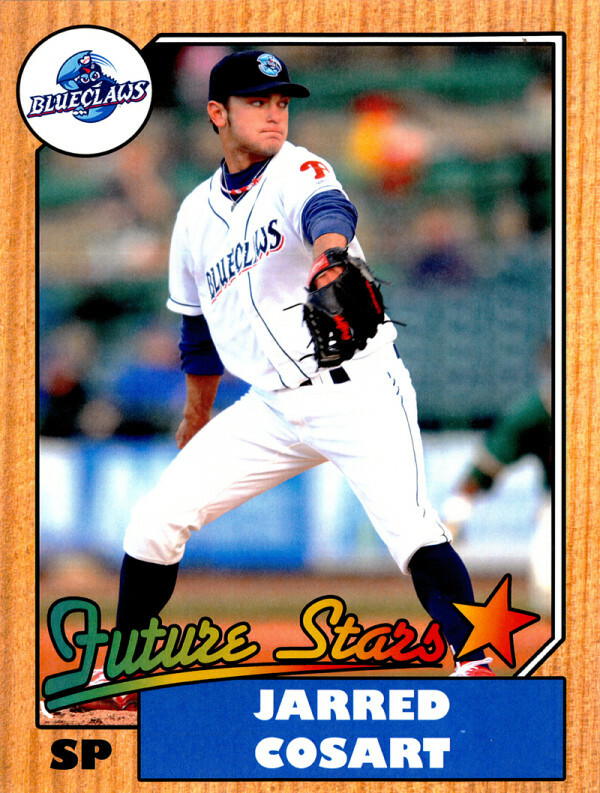 At any rate, November is probably the slowest month when it comes to Minor League Baseball news. (December has the Winter Meetings, at least, and once the new year hits there is an abundance of info related to the upcoming season.) But we all get through it together, and there are many productive ways to pass the time. For starters, Visalia Rawhide broadcaster Donny Baarns has launched a new podcast called “Candid Voices,” in which he “chats with the best sports broadcasters about their careers, their stories, and anything else they feel like talking about.” The first episode’s guest is Mariners broadcaster/veteran TV writer Ken Levine, and can be heard HERE. Lots of great stuff is contained therein, and the post follows a template that can (and should) be copied by other Minor League teams. Check it out. 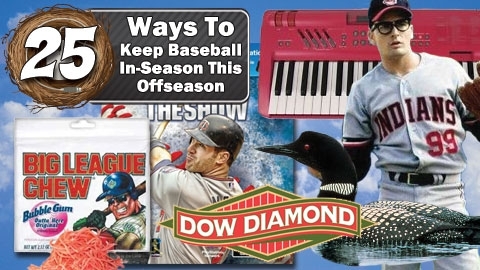 A more “inside baseball” (so to speak) offseason perspective can be found over at gameops.com, as always astute industry veteran Scott Carter’s has filed a column featuring a veritable treasure trove of ways that teams can engage with fans when there are no games being played. This is required reading for those seeking to understand how and why teams need to function as interactive year-round entities. And then, of course, there are videos. Always, there are videos. Some of them have malevolent undertones…. while others mine humor out of mascot misfortune. And finally there’s our old pal Ike the Spike, who apparently snapped out of his werewolf-observing reverie long enough to lead a “Thriller” flash mob. Check it out HERE. As always, thanks for checking this blog out. Your patronage helps to validate my professional existence. In much the same way that a bear lives off of its own fat throughout the winter, I am able to survive the lean times by relying on my great storehouse of Minor League content. Today I’ll dip into that vast reserve in order to bring you a steaming bouillabaisse of words and images from the 2011 campaign (I just spelled “bouillabaisse” correctly on the second attempt, tying my personal best in this category). 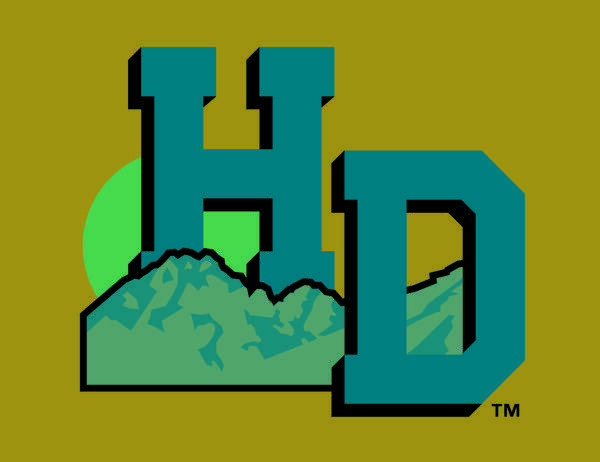 Let’s start with our friends in the mountain foothills, that distinguished Carolina League entity known as the Lynchburg Hillcats. 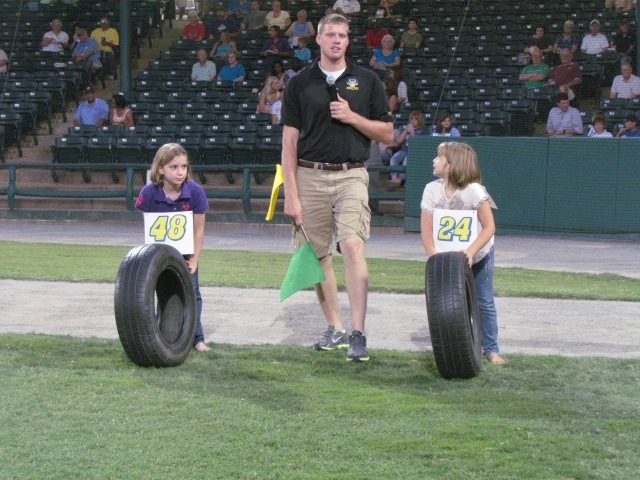 Last month, the team staged a NASCAR Night promotion and staged it well. 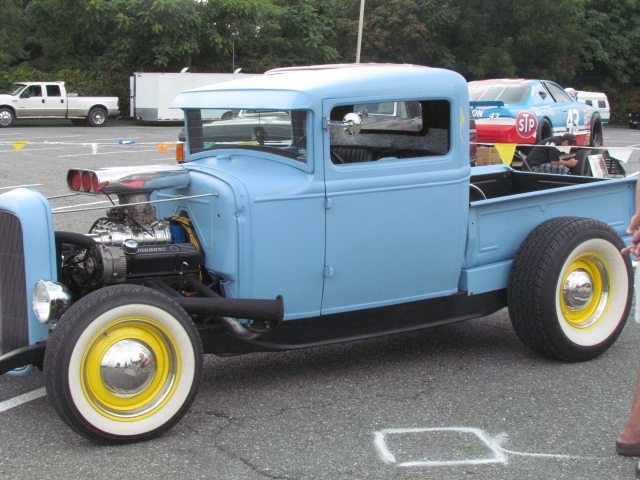 It all started in the stadium parking lot, with cars from different eras of racing history stationed therein. 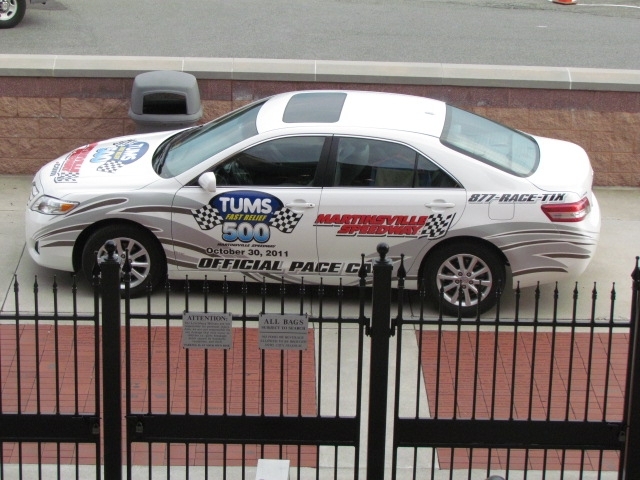 Also present was the official pace car from nearby Martinsville Speedway, one of the night’s sponsors. 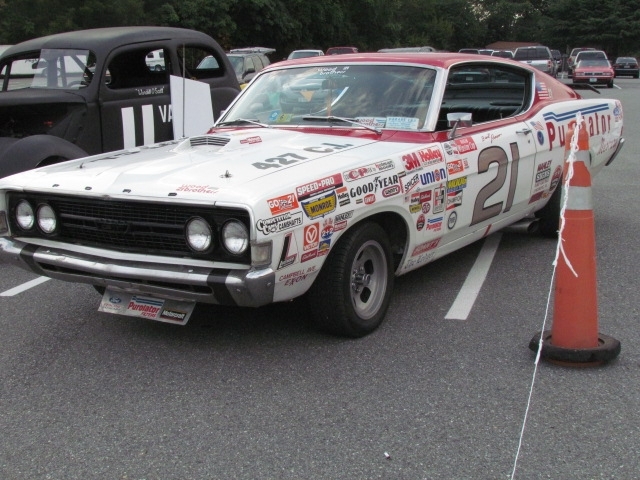 The evening’s guest of honor was Rex White, a legendary racer who in 1960 won the NASCAR Grand National Championship. …while a white flag indicates the last lap of the Pool Sprint. 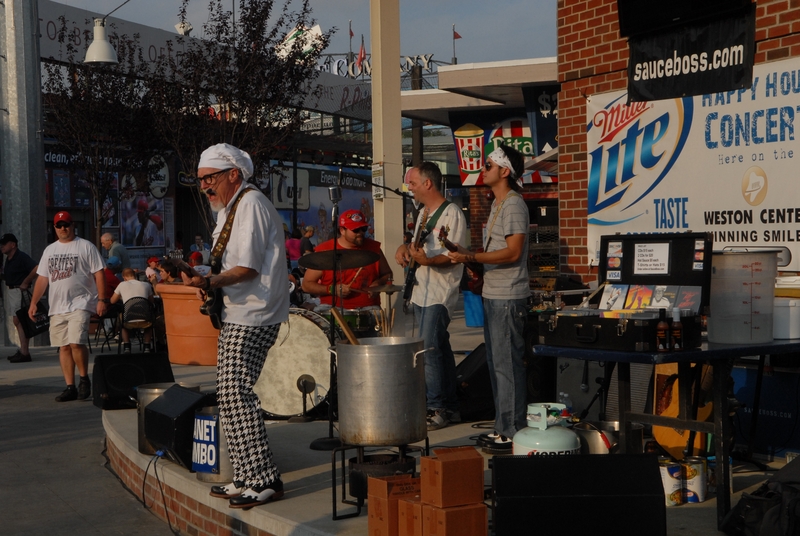 Moving from cars to guitars, last month the Reading Phillies welcomed a touring performer I had never before heard of: the Sauce Boss. 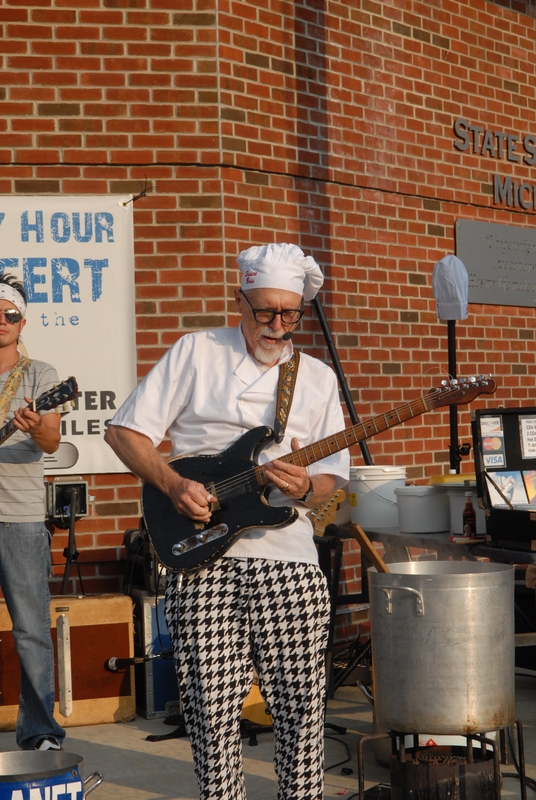 Not only does this guy play “Florida Slide Guitar Blues,” but he cooks gumbo on stage and serves it to the audience. — The “92nd” inning, commemorating Nirvana’s release of “Smells like Teen Spirit” with a “What’s that Smell” onfield promotion. — The strike-shortened “94th inning”, in which all promotions were stopped in the middle in memory of the MLB strike which began on August 12, 1994. — The Titanic “King of the World” cam in the 98th inning. Brilliant. The world of Minor League Baseball needs more bad guys, they make us all look good in comparison.